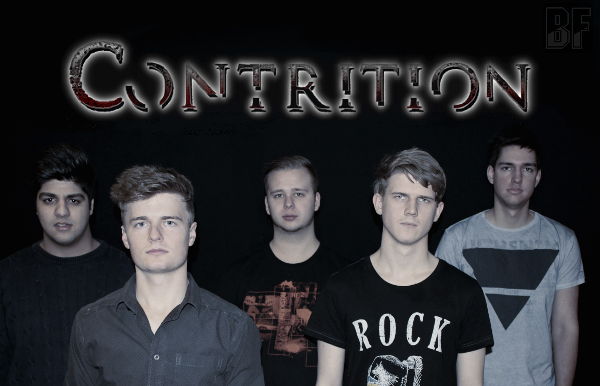 Danish young modern metal band CONTRITION will release their full length debut album "REFLECTIONS" through Mighty Music/Target Distribution on May 20th in Europe. The band is based in Copenhagen, and the members established CONTRITION in the ages of 15-17 years in late 2009. The album "REFLECTIONS" is a collection of superior technical riffs, brilliantly timed break-downs, brutal but emotional growls and atmospheric melodic passages. 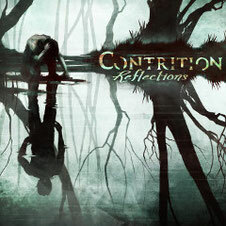 CONTRITION has released so far the four track EP "Oath Of Iniquity" (2010), and the Jacob Hansen produced single "Lycanthropy" (2011) through Mighty Music. In spite of the members young age, "REFLECTIONS" shows a mature band, that master their technique to perfection. The band’s characteristic sound is founded on a vast variety of different influences that stretch from the various metal sub-genres such as Thrash, Groove, Core to more progressive and melodic influences. The album was recorded at Grapehouse Studios in Copenhagen, Denmark and is produced, mixed and mastered by Jeppe Andersson (Scarred by Beauty etc. ).